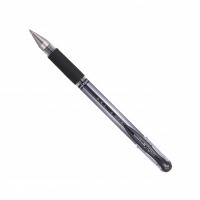 • Gel ink rollerball with medium tip. • Light, chemical and water resistant uni Super ink. • Twin ball system prevents reverse ink flow. 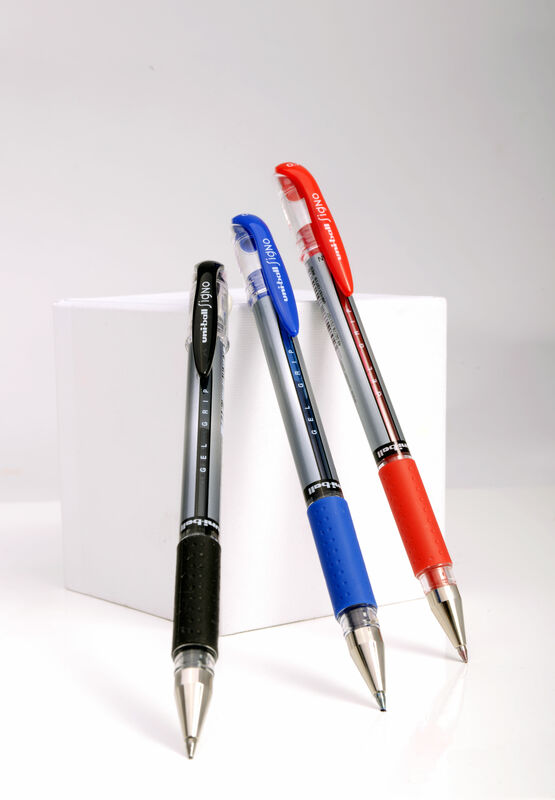 • Rubber comfort grip aids handwriting. • Produces 0.5mm line width. 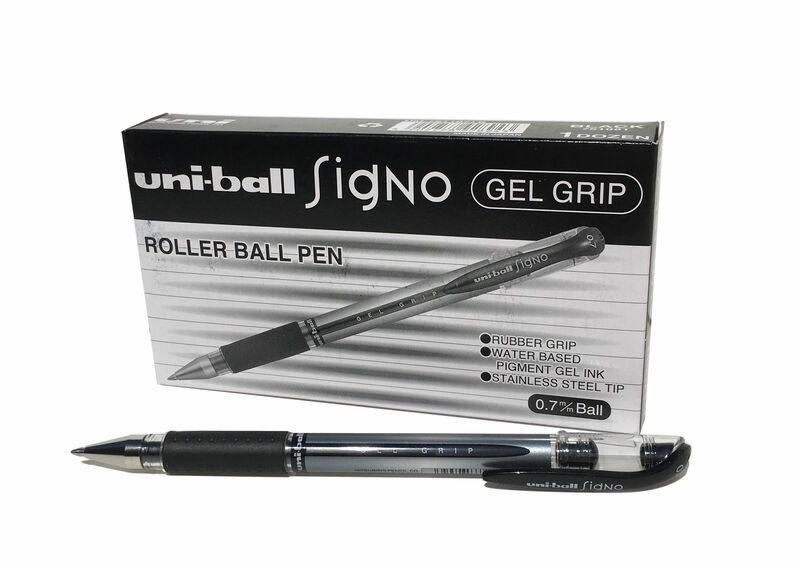 This Uni-Ball Gel Grip Rollerball Pen features high quality gel ink, which is fade resistant, water resistant and tamper proof. The medium 0.7mm tip writes a 0.4mm line width for everyday use. The pen barrel also features a window for monitoring remaining ink levels and a rubber grip for comfort. 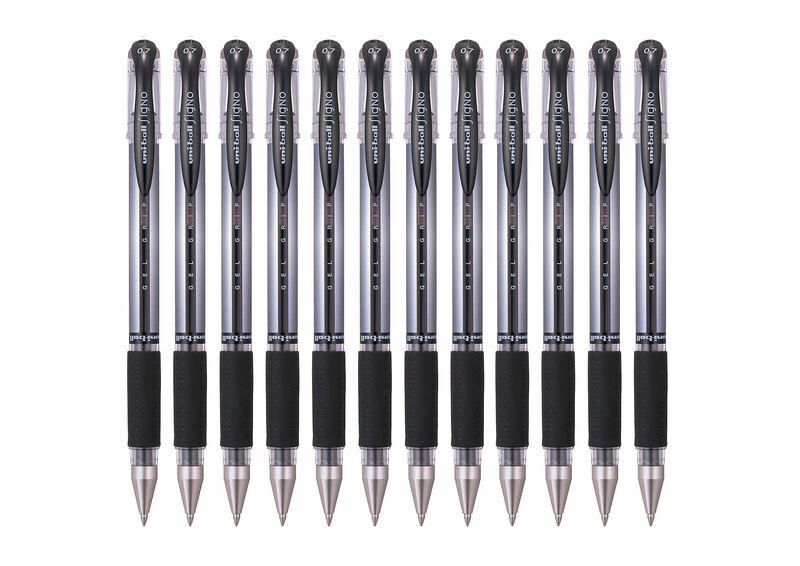 This pack contains 12 pens with black ink.